Brass engraving plaque for customizing urns with a flat surface. Engraving charges are additional. Shown with Script, Arial and Times New Roman typefaces. 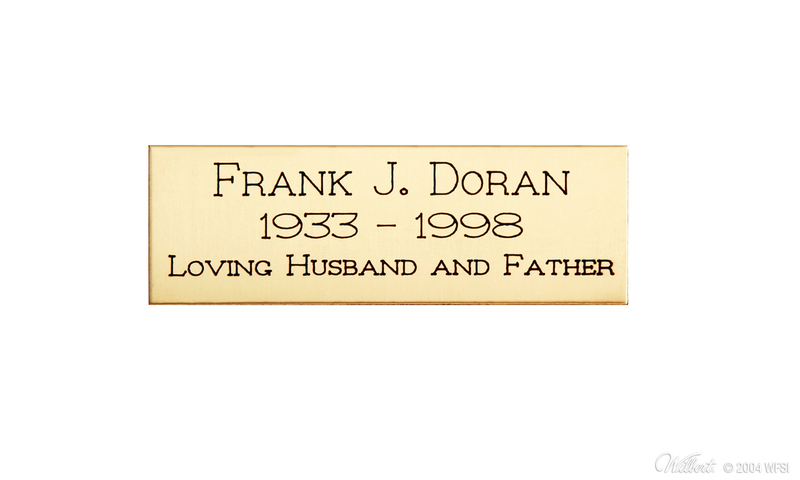 Brass engraving plaque for customizing urns with a flat surface. Engraving charges additional. Shown with Chan typeface. Brass engraving plaque for customizing urns with a flat surface. 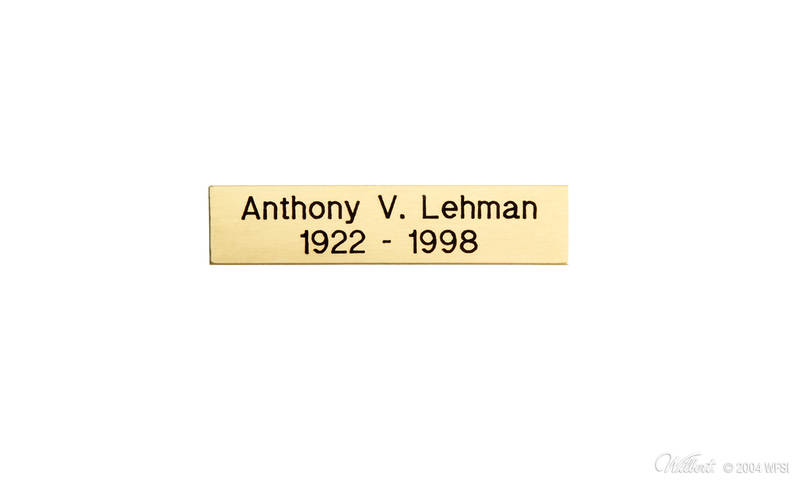 Engraving charges additional. Shown with Times New Roman typeface. 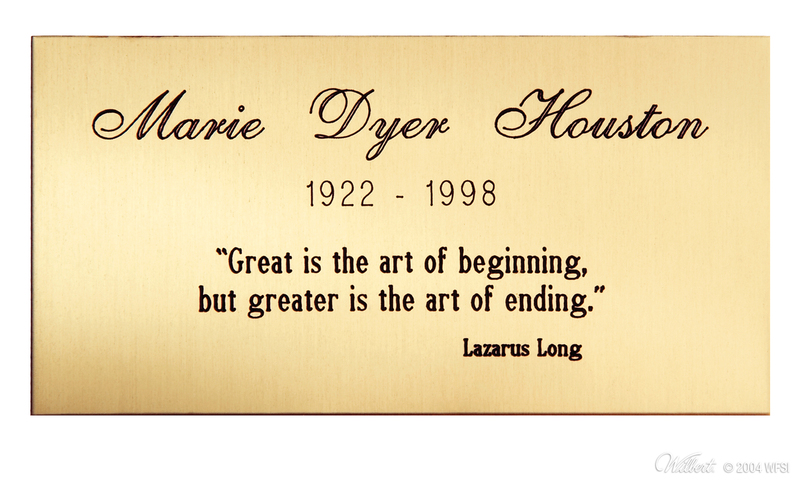 Brass engraving plaque for customizing urns with a flat surface. 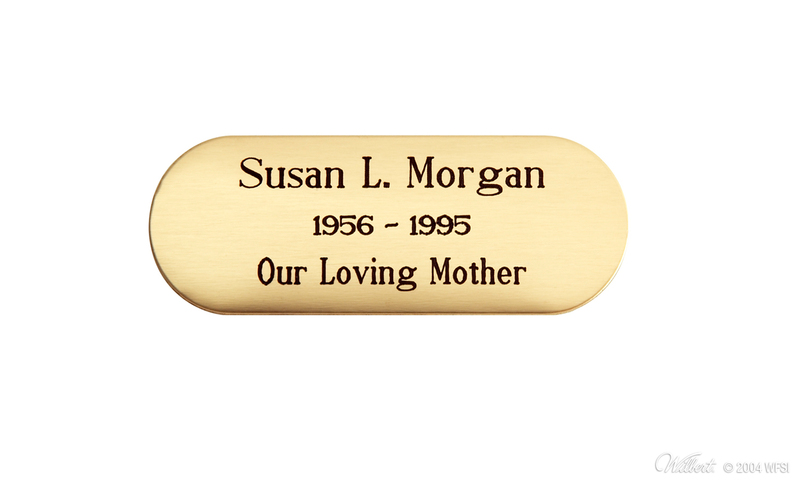 Engraving charges additional. Shown with Arial typeface.